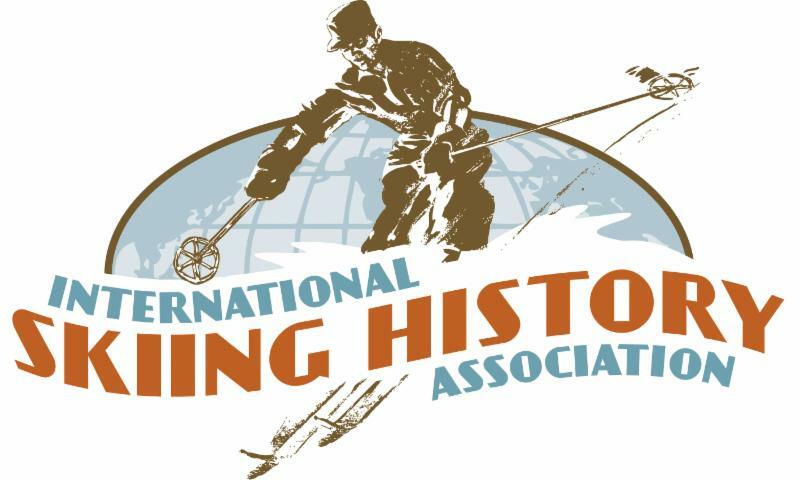 MANCHESTER CENTER, VT (March 4, 2019) – The International Skiing History Association (ISHA) has announced the 2018 winners of its annual awards recognizing “outstanding creative work in ski history.” The eleven winners come from around the U.S., from Maine and Vermont, New York and Michigan, to Utah, Colorado and Washington, as well as Australia and Switzerland. The awards will be presented April 4, 2019, at the Alf Engen Ski Museum in Park City, Utah, during ISHA’s annual awards banquet. First established in 1993, the awards are presented each year for work that preserves and advances understanding of skiing’s colorful history worldwide. They acknowledge published or formally completed books, papers, films, websites and other media. At the award banquet in Park City, three authors will receive ISHA’s Ullr awards, and seven will receive its Skade award. The awards are presented every year in a different ski town; in recent years, the event has been held in Squaw Valley, Calif. (2018), Stowe, Vt. (2017), Aspen (2016) and Steamboat (2015) in Colorado. The nonprofit International Skiing History Association publishes the colorful bimonthly Skiing History magazine, which active ISHA members can also read online. The organization’s website, www.skiinghistory.org, is the internet’s most extensive website for information about the sport’s history. As I sit here in Seoul’s Incheon Airport, I’m at the same gate/on the same flight as the U.S.’s gold-medal-winning curling team. Earlier, one of them watched my bags while I ran to the bathroom during the insanely long check-in process at the Delta counter. I’d been sitting on a bus for three hours, I explained to Tyler George, who stood ahead of me in line. Would he watch my bags while I ran to pee? “Of course,” he said, as I ran off in search of the loo. This summed up my experience covering the PyeongChang Olympic Winter Games: long waits punctuated by the kinds of moments that make us remember why we cover sports. Every so often, we catch an unscripted glimpse inside what makes these inspirational athletes tick. Like Lindsey Vonn reflecting on her many injuries and comebacks after she finished third in the downhill. Vonn talking to the press in the mixed zone. As if we were her friends. In previous Olympics and world championships, she has provided more rehearsed answers and not spent more than a minute or two with us in the mixed zone. David Wise’s sisters, Christy and Jessica. “He’s been the one to be like, no, we need to spin both ways, we need to have variation in our tricks and grabs are important,” his sister Jessica said, which helped explain David’s role in the freeskiing world. And why he had just won his second gold medal. Or watching the women’s XC team sprint in the stands with the American skiers’ friends and families. Before the race, I had been chatting with Jessie Diggins’s grandmother. At least I think it was her grandmother. It was hard to hear about the crowd noise. As we all hugged and screamed after Jessie and Kikkan Randall won the U.S.’s first Olympic gold medal in cross-country skiing, I saw tears in her eyes — streaming through the American flags painted on her cheeks. Or Ester Ledecka coming into the press conference after she won the women’s super-G gold medal — beating the likes of world and Olympic champions Anna (Fenninger) Veith and Lindsey Vonn. Ledecka wore her goggles on stage and joked that she couldn’t take them off because she had to represent her sponsor. Then when pressed, she confessed that she had not expected to win a medal that day, so had not brought any eye make-up. And what’s not to like about a champion who confesses that chocolate is her form of doping? These are moments we journalists live for, through the grueling hours and sleep deprivation, long (hot!) bus rides, and lack of decent nutrition. It’s a MASH-like experience, where we forge friendships or at least kinship with those who are also freezing in the Siberian wind, waiting for hours for the American who finished sixth in moguls to tell us how he feels, and who also haven’t eaten a real meal in the past 15 hours. Korean Oreos, anyone? But there are also moments that don’t make it to press. And it’s these moments, as much as the gold-medal-winning performances, that keep us coming back. Eating Korean BBQ with friends Elliott Almond, Christa Case Bryant, and Amy Donaldson. Is that salad? Or grass clippings? Coming home at night to my roommate, Karen Rosen, who often had me doubled over laughing. Was there a conspiracy to slowly bake us to death in our flat on the 13th floor of the Gangneung Media Village? Getting to know countless journalists — like Jason Albert and Gabby Naranja at Fasterskier, and Christa, Amy, Elliott, and all the others with whom I shared mixed zones and bus rides. Having dinner at USA House and realizing that 8 of the 10 people at our table were Vermonters. Playing miniature hockey “foosball” with my friend Aimee outside Sweden House in PyeongChang. Could they make the handles any bigger?! Joking with other journalists in the mixed zone as we waited for Mikaela Shiffrin after her GS win. Would Shiffrin make it to us before the sun went down? … Nope! Taking a tour of the DMZ. In the four other Olympics I’ve covered, I haven’t taken time to soak in the host country’s culture, other than an occasional meal. The Koreans bussed us to the DMZ, showed us the North Korean border, and talked about their hope for a unified Korea and for peace. And they fed us lunch, a soup made of what looked like primordial fish. It was delicious. As long as you avoided the floating eyeballs and fish organs. Reading the stories written by other journalists. They managed to weave two-minute snippets of quotes into lovely prose. And they did it with frozen fingers and minds as numb with fatigue as mine. Then we would laugh and remember that we’d get to do it all over again the next morning, on four hours of sleep. It was, for me, as inspirational as any athletic performance in PyeongChang. My book is now available for purchase. Click here to order a copy from the publisher. My next book has a cover! Coming to a book store near you in January 2018. As sports journalists, we are not supposed to have favorites. We aim to give all athletes the same coverage. But sometimes, we can’t help it. Certain athletes just become our favorites. They’re the type of people who don’t just give rote answers that sound practiced and insincere. They open themselves up to us, share their ups and downs, let us see the struggles that come in route to their victories, and thus let us portray them to their fans as not just champions but humans as well. Steve Holcomb was one of these athletes. I first met him in November 2009 at a IBSF World Cup in Lake Placid, where he drove USA I to first in the four-man race and second to teammate John Napier in the two-man. Holcomb was by then a world champion and overall World Cup leader, and he joked with the media about what to do with the bouquet of flowers that he had just received on the podium. Then he mostly talked about Napier’s win, and how he had told the younger bobsled pilot between runs (of the two-run race) to hang out, chill out, and pretend it’s a practice run. Holcomb had the drive and talent to win, but he seemed to care about his teammates as much as himself. In the lead-up to the 2010 Vancouver Olympic Winter Games, Holcomb had more and more media demands, which he handled patiently and with humor and grace. With his world championship title from 2009 and the story of the blindness that he had overcome in 2007, he was suddenly on the radar of press members who don’t normally cover bobsled. Who was this guy who had once driven a bobsled while blind? He talked about keratoconus and the corneal collagen cross-linking surgery that returned his sight for as long as reporters asked questions. Even after he became an Olympic gold medalist — the first USA bobsled pilot in 62 years to win a four-man race at the Olympic Games — he remained a humble guy who always had time to chat with reporters. When he began his quest to win gold in the two-man in Sochi, he explained clearly and concisely the difference between driving a four-man versus a two-man sled—like driving a Greyhound bus versus driving a sports car, he said. He might have answered this exact same question for the hundredth time — while standing at the finish in Lake Placid with temperatures hovering near zero degrees. But he never sounded impatient or exasperated. He loved his sport and shared that passion with anyone who showed interest. I met up with him at the Olympic Training Center in Lake Placid in August 2013 to talk about the upcoming Sochi Olympic Winter Games, and he talked in as much detail as he could about the endless effort that goes into developing state-of-the-art sleds. He seemed to put as much time into helping Bo-Dyne, then BMW perfect bobsleds as he did into training. And he conveyed the trials of developing new sleds in terms that his audience could grasp — describing to me what it’s like to tweak a sled as if it were an alpine ski. He understood bobsleds the way a scientist understands an experiment he’s been working on for his entire career. Holcomb shared his quiet sense of humor too. During the 2014 season, he wore a Superman shirt under his speedsuit and would dramatically and hilariously rip off his speedsuit on the finish deck after a good run. Or sometimes he’d do the Holc-y dance for a reporter if asked (though this lighter side of him seemed mostly reserved for his friends and teammates; in front of reporters, he was more bashful). But where he showed his true champion side was when things weren’t going well. After the Sochi Olympics, where he had torn his Achilles tendon, he struggled with a quadriceps injury while simultaneously trying to break in new push athletes. The results didn’t come, the one-time champion finishing races far from the podium. Yet he persevered and was always gracious, praising the guys for pushing the sled well off the line and saying how far they had come. In December, just five months ago, after he finished on the podium in a World Cup for the first time since Sochi, I asked if he still had his Superman shirt. He said yes, it was in his bag. He kept forgetting it was there. Maybe just having it in his bag was enough. He finished on the podium five times this season, despite struggling with his hormone levels — a condition that he confessed in a very long email that he took time to write to me mid-season. The medications that he took to treat depression that he battled in the mid-2000s had wreaked havoc on his brain, causing his testosterone levels to drop, he said. In a sport as violent as bobsled, with the need for explosive power, Holcomb was having trouble recovering from injuries (like the torn Achilles and strained quad). The fact that he was blindsided by a challenge that he never saw coming — pulmonary congestion — is so unfair. For an athlete with such heart, it’s cruel that his heart is what gave out on him. He had the heart of a champion. But most importantly, he had the heart of a friend. He was a true ambassador not just for bobsled but for all of sport. The track at PyeongChang next February during the 2018 Olympic Winter Games will seem lonely without him. And so will Lake Placid. Perhaps someone will name a curve after him — a curve that takes patience and insight to describe to the media, and one with just a little bit of a fun wiggle. I spent 10 days in Finland this winter covering the 2017 FIS Nordic World Ski Championships. With three different skiers winning medals, it was one of the most successful world championships ever for the U.S. women’s cross-country ski team. And with a silver in the sprint and bronze in the team sprint, Jessie Diggins now has four world championship medals (more than almost all the American alpine skiers except Lindsey Vonn, Ted Ligety, Bode Miller, and Julia Mancuso, and tied with Mikaela Shiffrin). The U.s. women’s cross-country ski team has now won medals in the past three world championships and in four of the past five (2009, 2013, 2015, and 2017). It’s a testament to their strength as a team. Here’s my coverage of the team sprint and the relay. “Jessie Diggins & Sadie Bjornsen Win Bronze in Team Sprint; Fourth Worlds Medal for Diggins,” TeamUSA.org, February 26, 2017. “U.S. Women’s XC Relay Team Finishes 4th for Third Consecutive Time,” TeamUSA.org, March 2, 2017. Ted Ligety skied into the history books today. After winning the giant slalom at the 2013 World Alpine Championships in Schladming, Austria, he became the first man in 45 years to win three gold medals at one world championship. Earlier this week, he won the super G and super combined races — events that he has never won on the World Cup circuit. Ligety now owns 5 world championship medals (bronze in GS in 2009 and gold in GS in 2011) — a record he shares with U.S. teammates Julia Mancuso, Lindsey Vonn, and Bode Miller. He’s also the owner of one Olympic gold medal from 2006 in the “old style” combined (where skiers ran one downhill and two runs of slalom, not one run of each like they do in the new super combined). The 28-year-old from Park City, Utah, is now in rare company. Only four other men have won three or more gold medals at one world championship, and they are the storied legends of ski racing: Emile Allais (France, 3 in 1937) and Stein Eriksen (Norway, 3 in 1954), Toni Sailer (Austria, 4 in 1956 and 3 in 1958), and Jean Claude Killy (France, 4 in 1968). And the list goes on for Ligety. He is the first U.S. skier of either gender to win the GS medal twice at the world championships and the first to win three golds in one worlds. Thanks, Mom &amp; Dad! When he first made the U.S. Ski Team and began racing on the World Cup in November 2003, he taped a piece of paper that read “Mom &amp; Dad” to the front of his helmet — real estate normally taken by an alpine skier’s primary sponsor (like Putnam Investments now). See the Jonathan Selkowitz photo from a December 2005 issue of Ski Racing (below). It was a funny and heart-felt tribute to his parents who, like most parents in a ski racer’s formative years (which can last an indeterminate number of years), no doubt bought countless pairs of skis, bindings, boots, poles, goggles, helmets, shin and chin guards, speedsuits, warm jackets, warm-up pants (that are frequently lost), gloves and mittens (also frequently lost), long underwear, ski passes, lift tickets, and paid race fees. Like other ski-racing parents, they probably got up hours before dawn to make a lunch, then drove their young ski racer across a state or two to reach a race. They no doubt helped tune skis as well, carried coats down from the start, stood beside the course in rain, sleet, hail, snow, freezing cold snaps, and sometimes sun, and perhaps prayed (well, at least mom might have) that their little ski racer first and foremost would not get injured, and secondly, would have a good run. They hugged their ski racer with both smiles and tears. And then, while their exhausted ski racer slept, they drove home that night. While many ski racers take parental “butlering” for granted, Ligety did not. Ligety has acted with similar respect when asked for out-of-competition interviews, replying quickly and returning calls at the appointed time. Savvy businessman. While many athletes wait until after they have retired from their sport to start a business venture, Ligety began Shred just as his ski career was taking off. He wanted to look different on the racecourse — to stand out, he told Dave Peszek, former Uvex rep. And he thought retro 80s hot pink and neon green would do the trick. “I thought it was funny and something different,” said Ligety. When his contract with Uvex ran out in 2006, Ligety and friend Carlo Salmini (who owns Slytech, maker of protective body armor for skiers and snowboarders) started making neon-colored goggles. The name of the company? Ligety’s nickname, Shred — “because it rhymes with Ted, I get after it on skis, and I was fearless as a little kid,” he said. Shred also sells helmets with humorous names like “Toupee” and “Brain Bucket,” and they come in colors like Nastify Green and Crooked Blue. Stands up for his and other skiers’ rights. When the FIS changed ski specs for giant slalom skis this season — making the skis straighter, with less sidecut “to enhance athlete safety and reduce risk of injury,” stated the federation — Ligety was one of the most outspoken athletes against the change, not because he feared the new ski design would impact his World Cup results. He thought that “the FIS should remove itself from equipment issues” and that the new rule would “turn back the clock on the evolution of this sport,” he wrote in his blog on tedligety.com. He also feared the impact the rule change would have on young ski racers, who don’t have the strength to muscle straighter skis into turns and who have learned to carve turns on the more shaped skis. When the FIS wouldn’t budge on its decision, Ligety set about learning how to ski the straighter GS sticks and has all but dominated GS this season. So there! Never too busy or too tired for his U.S. fans. By the time the U.S. Alpine Championships roll around in late March, most of the U.S.’s top skiers are done for the season — both mentally and physically. And the championships are often held at far-flung ski resorts that are hours from the nearest airport (Whiteface Mountain near Lake Placid, N.Y., a couple hours north of Albany; Mammoth, Calif., three hours south of Reno; Alyeska, Alaska, an hour east of Anchorage). But not Ligety. No matter how tired he’s been, he’s competed in nationals every year but one for the past decade, winning three titles in the process.